THE TAMS have been entertaining and thrilling audiences for over 40 years! Known as one of the Southeast’s top name Beach Bands, THE TAMS have recorded many $1 million plus selling songs! Known for such hits as “Be Young, Be Foolish, Be Happy“, “What Kind of Fool”, “I’ve Been Hurt” and “Untie Me“, The Tams have had 2 Gold Records, and 1 Platinum Single. “What Kind of Fool” hit #9 on the Billboard charts, and #6 on the R&B charts. “Hey Girl Don’t Bother Me” hit #1 in the UK in 1971. While “Be Young, Be Foolish, Be Happy” only hit #26 on the Top 40, the single sold over 1,000,000 copies, sending it to Platinum status. In 1986, “Ain’t Nothin Like Shaggin’ ” hit #6 in UK Billboard charts, before being banned due to the UK’s definition of “shag”. Though their style of music has historically been referred to as Beach Music, it can be also classified as a mixture of Smooth Soul, and R&B. Their show is fun, fresh and exciting and appeals to audiences of all ages and musical tastes. Consider this enduring original celebrity Shag Beach Band for your event. To hear it, you might think you just stepped into Motown. To breathe it, you smell a tropical breeze caressing a sandy beach. To feel it, you let the rhythm grasp your body and whirl it into motion. To see it, is like an extravaganza of light and energy. But to experience it, you must say it…”I want the Tams!” The Tams are one of America”s all time favorite recording acts. World renown for their special blend of music that makes up the Beach Music sound, the Tams entertain crowds around the globe nearly 300 days a year! Probably best known for their 1968 gold hit, “Be Young, Be Foolish, Be Happy”, the Tams are celebrating the recent success of their newest single, “Ain”t Nothing Like Shagging”, which reached number 8 on the European charts. The group began performing in local taverns and nightclubs for wages of $1.25 each. To them this money was from heaven. Imagine – getting paid to sing. Initial pay of these early days only provided enough money to buy matching multi colored Tam O”Shanter hats on stage – in which local patrons of the night spots nicknamed them the Tams, a name that would eventually be known around the world. In 1962, producer Bill Lowery agreed to cut one demo single on the group. To his surprise, the record gained much regional success, allowing him to negotiate a major recording contract with ABC records. Their first album, “Presenting the Tams”, produced a number one record, “What Kind Of Fool (Do You Think I Am)”. This propelled The Tams into professional status and national popularity. They soon found themselves playing to sold out auditoriums from The Howard Theater in Washington, DC to the famed Apollo Theater in New York City. A string of hits followed, including “You Lied To Your Daddy”, “Hey Girl”, “I”ve Been Hurt”, “It”s Better To Have Loved A Little”, and “Be Young, Be Foolish, Be Happy”. During this time, the Tams developed a spectacular revue touring with their own 14 Karat Gold Band. After years of appearances and 10 albums The Tams have been honored with two Gold Records. In 1986 the group received the coveted award and title “Beach Band of the Decade”, at the Beach Music Awards. In 1988, The Tams were spotlighted as the Outstanding Black Musical Group by the Atlanta Black History Awards. 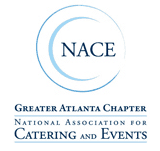 In 1992, The Tams were inducted into the Georgia Music Hall of Fame. 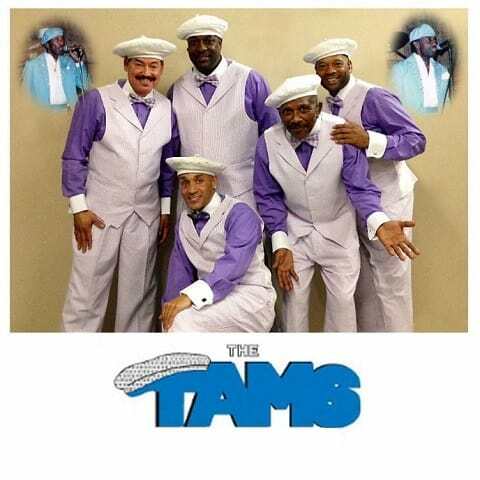 The Tams are a group that has bridged the generations of music. Their unique sound spans all ages, styles and regions. They are classic with an exhilarating stage show. Charles Pope, original member, brother to the late Joe Pope, Lil Redd has been with the Tams for 35 years, since he was 6 years old and Greg Gallashaw, Reginald Preston, Robert Arnold and Elton Richardson has been a members for over 15 years. They are the Beach, they are good times, they are times, they are simply rock and roll at it”s finest.